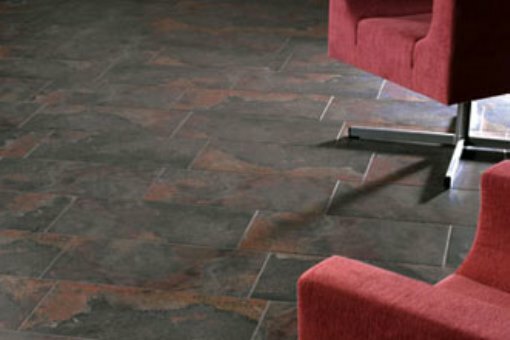 When it comes to decorating your home, tiles are an ideal choice for your walls and floors. 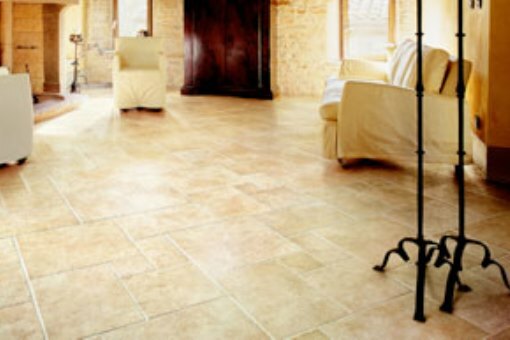 Coming in a range of colours, textures and materials, tiles don’t have to be restricted to bathrooms and kitchens, working well in a number of different areas in your home from conservatories, living rooms hallways, porches, cloakrooms and even gardens. 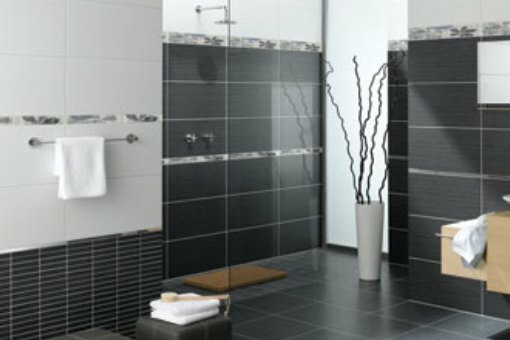 In fact where ever you are looking for a hygienic, easy to clean and hardwearing floor surface, then tiles are the perfect choice. Here are some suggestions to provide you with inspiration and ideas for your project. Stylish and modern with a classic mix of black, white and grey. The simple mix of mosiac wall tiles and large floor tiles provides high impact. 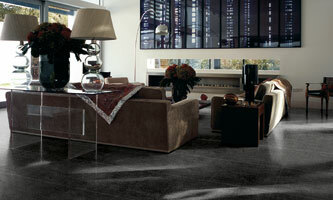 Using large format wall and floor tiles can accentuate a room. Using strong, natural browns on both walls and floors allows gives the room a sense of comfort and warmth. Welcoming reds compliment the classic creams to provide warmth to any room. Patterned tiles in a modern floral design can add a soft tone and balance to stronger colours. Classic creams within light natural stone effect tiles fill conservatories with light. The clean finish of light tiling across a floor with simple decoration in the room creates a relaxing space where all your troubles can be forgotten. 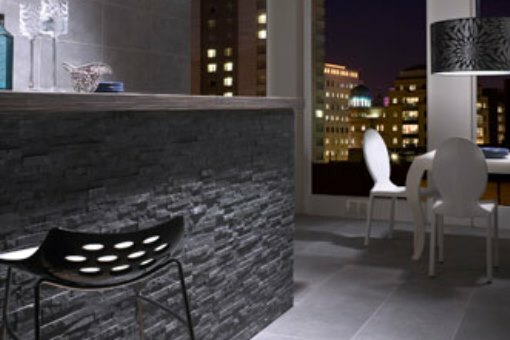 A strong masculine feel can be achieved by using darker natural stone effect tiles. Use simple contemporary furniture to complement strong dark and earthy tile tones for a modern and relaxing area. 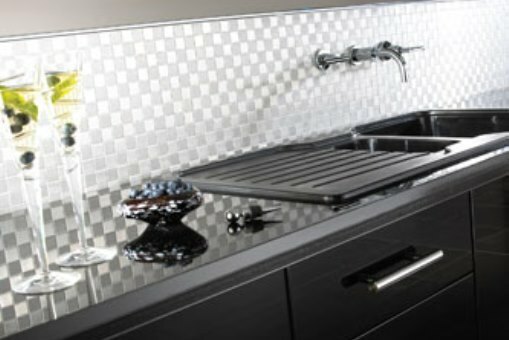 Be bold with both tile colours and sizes to give your kitchen the ‘wow’ factor. Maintain a balance with some core neutral colours; mix cream floors and brown wall tiles to provide greater impact. 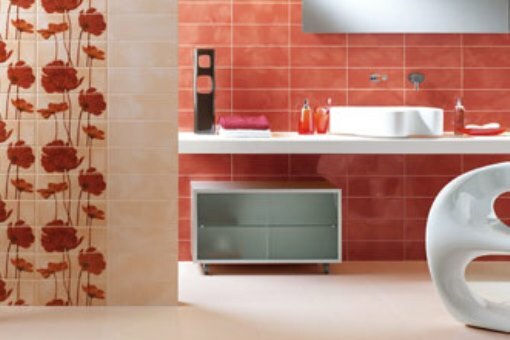 A mixture of coloured tiles can be used to create a fresh and modern feel. Black and white remains the classic choice for any room. Use mosaics to create a real feature. A simple introduction of silver also gives a fashionable and alluring feel to this classic look. 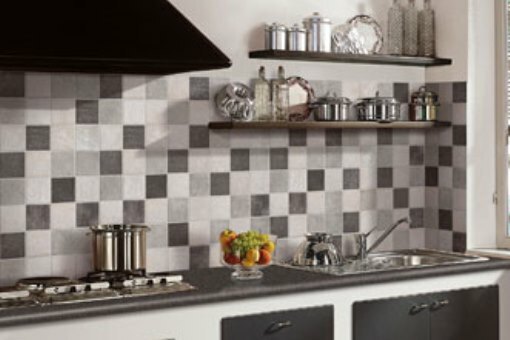 Using a mix of cool colours and smaller tiles to bring a homely feel to any kitchen. Diagonal tiling on floors creates interest and increases the sense of space. 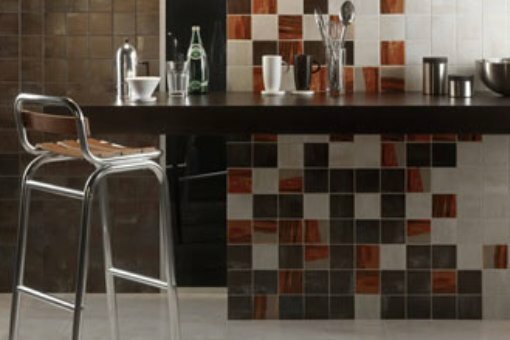 Mix and match tile sizes for a contemporary look, intricate borders add interest to a room. Mixing dark grey, white and silver gives a clean, sophisticated finish – very “of the moment”. Use colours and styles to complement and contrast. Create interest by combining classic timeless natural tones with today’s modern browns, mix and match larger tiles with mosaics for a perfect result. 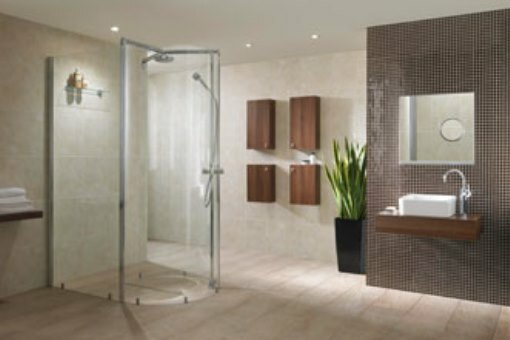 Create a modern and minimalist retreat, choose aqua mosaics for a stylish finish to any wetroom. 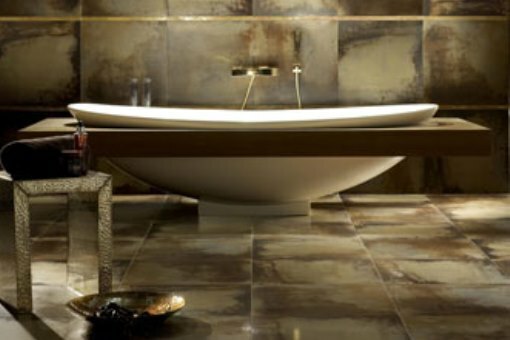 Using large polished floor tiles brings a touch of luxury to any room. Colours to offset the subtle wall tones and decoration let you take it easy in a stylish area of pure comfort. Bringing a sense of city chic to your home, the clean lines provided by the large floor tiles contrast with the brick affect tiling on the bar area. Using the same steel grey tiles on the wall create a sense of size fitting for a room to chill out with a few drinks!